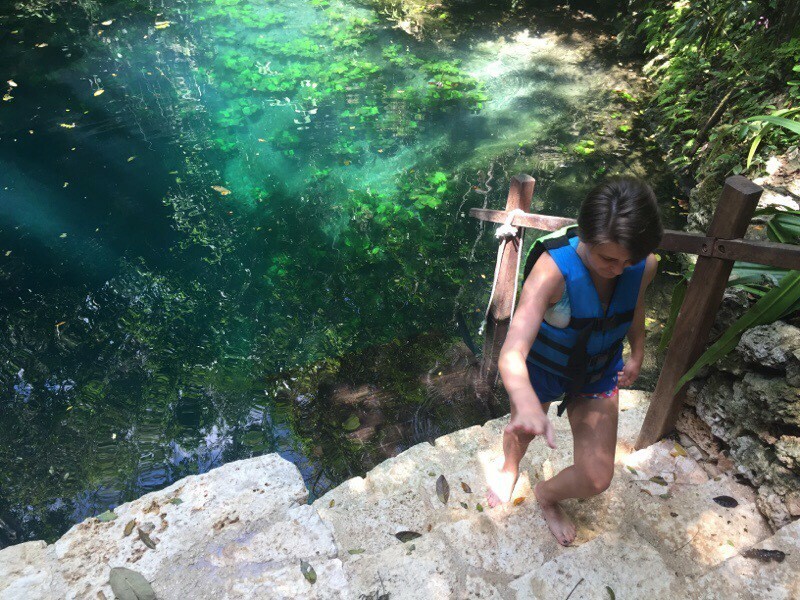 Haley mentioned that she was wanting to do something outside the house and asking when we’d be going to some cenotes again. Since Zoe was still under the weather and we have to jump on every opportunity Ms. Introvert Haley gives us to get her out of the house, it was decided Dad and Haley would have a day out together. Short Version: We had a blast. We decided to go as far as we could on the route, to get an idea of how many there were. 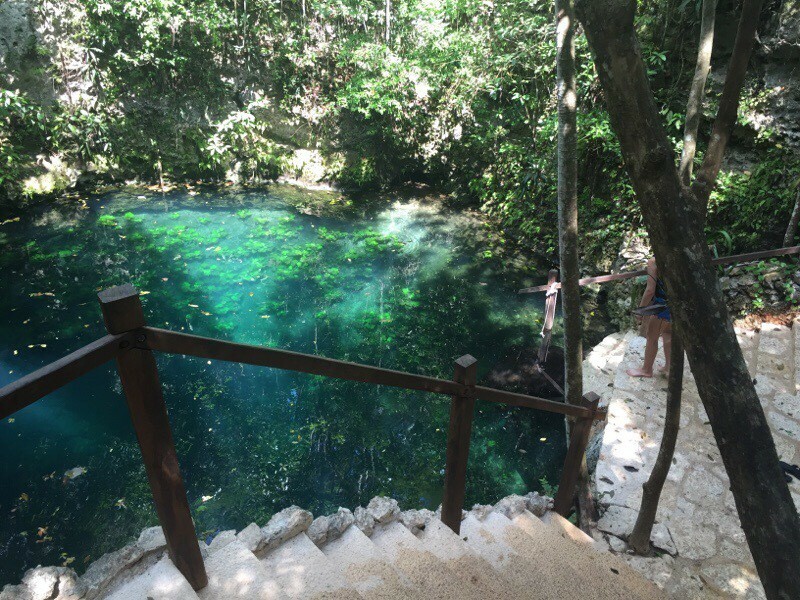 We traveled a good 20 minutes on the road and we were about to turn around when we saw what is probably the farthest cenote from the main freeway that most people would probably be willing to make the trek for. It was called Popol Vuh. So that was our first stop. It really sucked wasn’t all that good at all. It was an open one (read: not inside a cave with a small hole for an entrance), but it was deep (ground to water surface, I mean) and only one entrance into it. The water wasn’t clear and the one zip line it had (which would have made it marginally worth the cost and effort) was out of service. 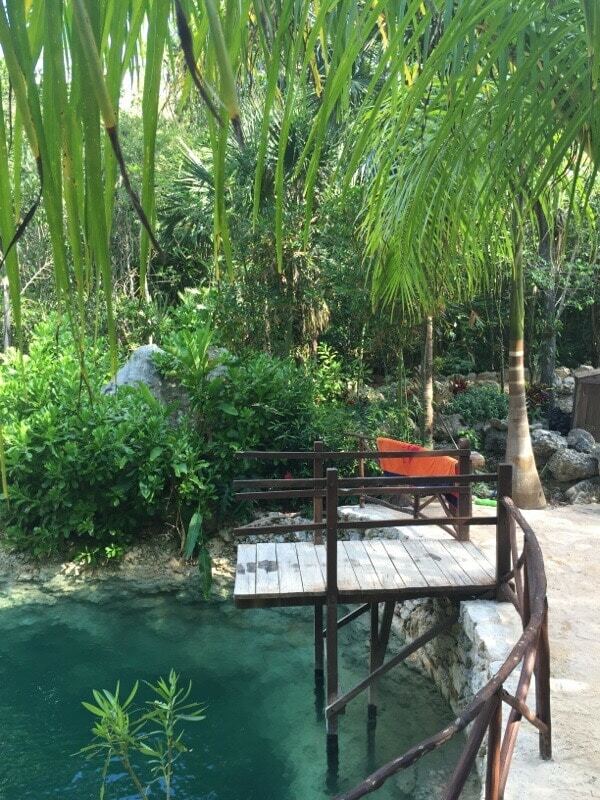 So we didn’t even go in the cenote. 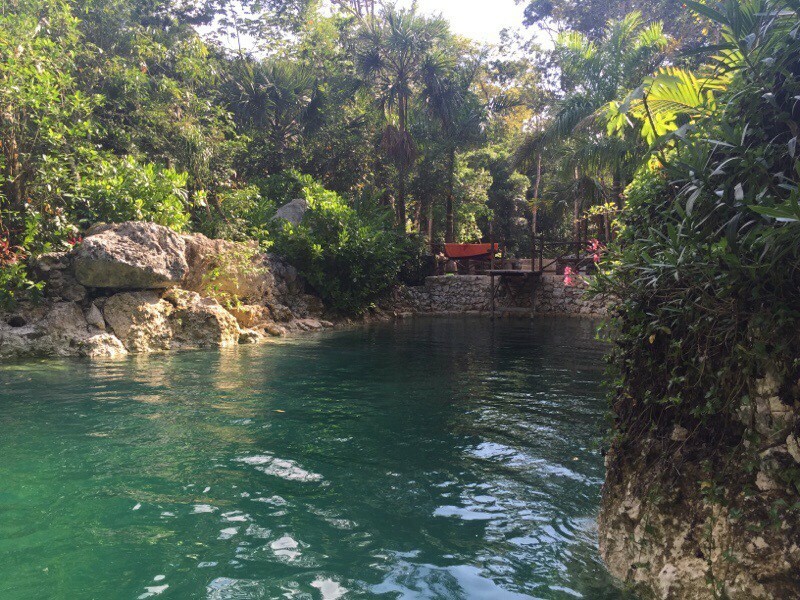 It cost $70 pesos per person (US$4.03) and we didn’t even get wet. We just returned the life jackets and left. I kind of felt bad for them. 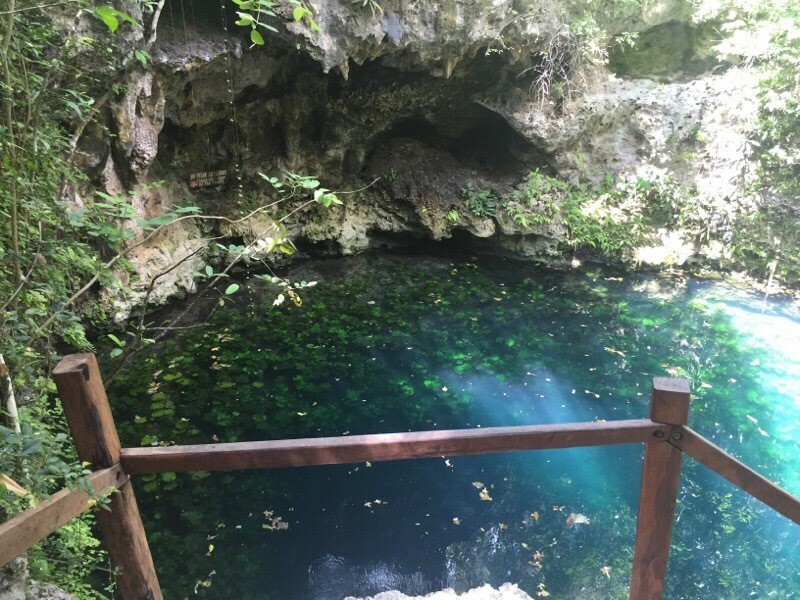 They were already the furthest cenote out and we were the only visitors there. At least we donated $140 pesos to their eventual demise continued success. We took the route back towards the main freeway. We had already decided we were going to hit Zapote today since it was one that the family had plans to go to next anyway. It’s on the same dirt road as Kin Ha. 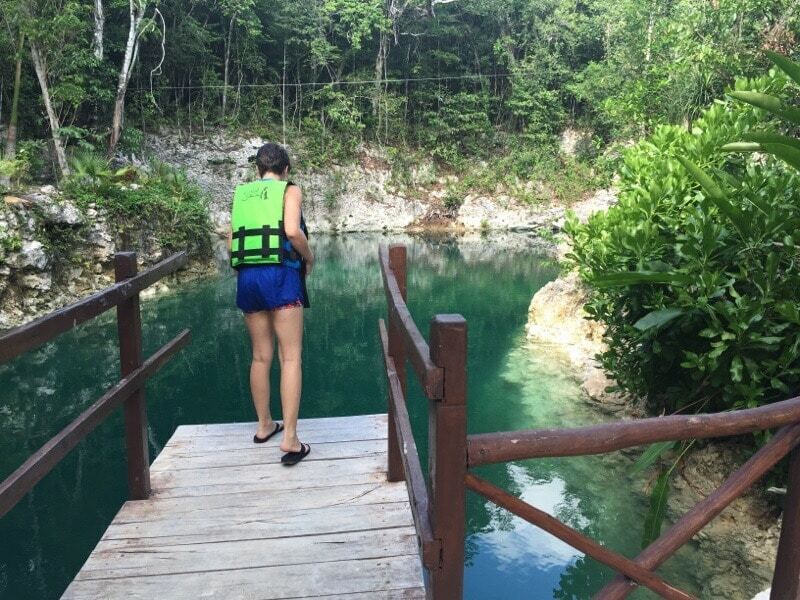 Sometimes you’ll find multiple cenotes being run by the same people. This is one of those. Zapote is the first one you come to but when you pay, they ask if you want to JUST hit Zapote or do you want to pay to access both Zapote and in this case, Palmas? We paid for both of them. 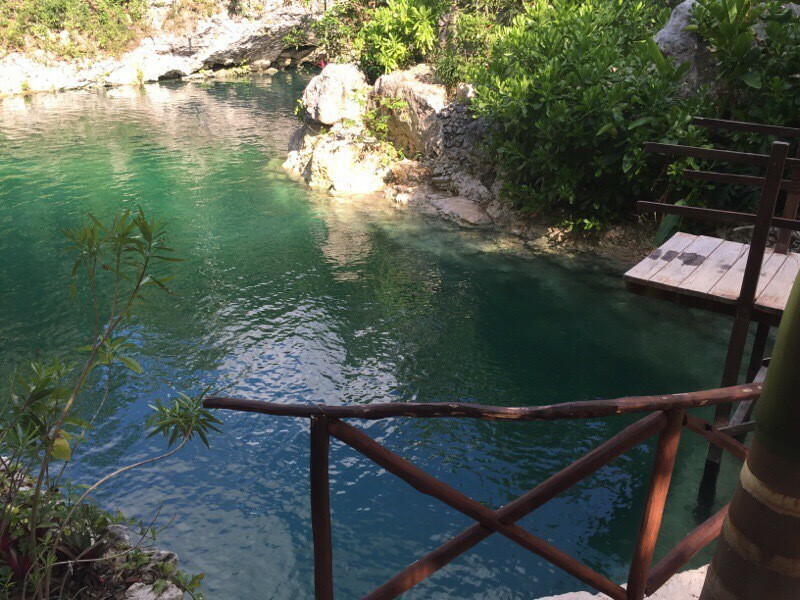 Kind of pricey as cenotes go, but they were both very unique and worth the time and money. Total for both of them was $300 pesos per person. That’s about US $17 each. Zapote was pretty impressive in that it is basically a very deep hole and not that big in diameter. You first approach it as you walk out onto a platform. 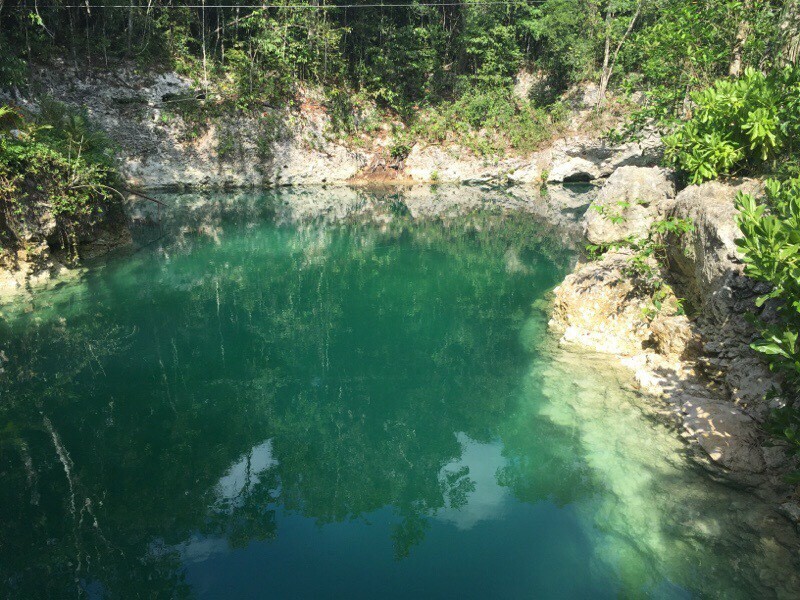 Then you peer into a large hole and the water is a good 30 feet down or so. There’s a platform above this, too. We definitely didn’t jump from either of them as that was just plain lunacy. But there’s a staircase that winds down to the water and there are several other places from which to jump. One was about 3 feet lower than the “crazy” one you initially encounter. Then there was one about half way down (both Haley and I jumped from that one). Then there was one about 5 feet off the water. We both dove from that one. 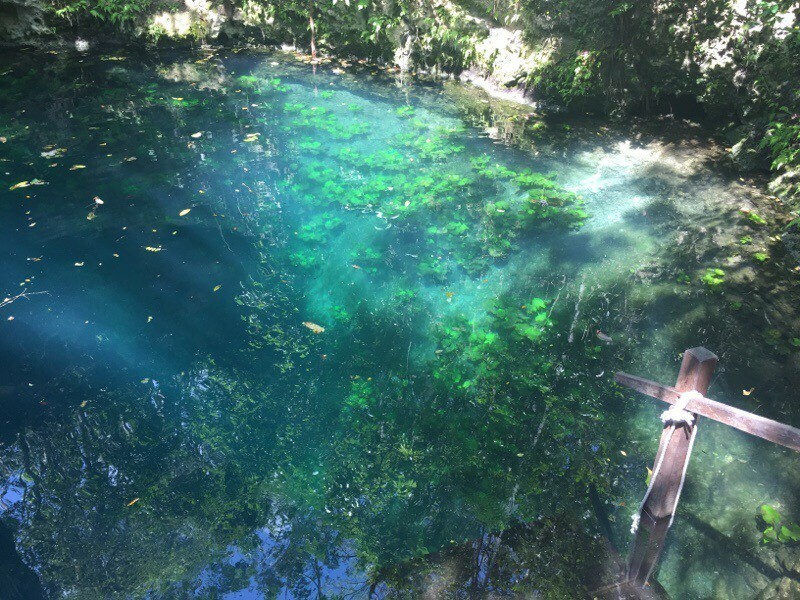 What made Zapote kind of neat is how the walls of the cenote could be seen as far down as probably 20 or more feet under the water line. 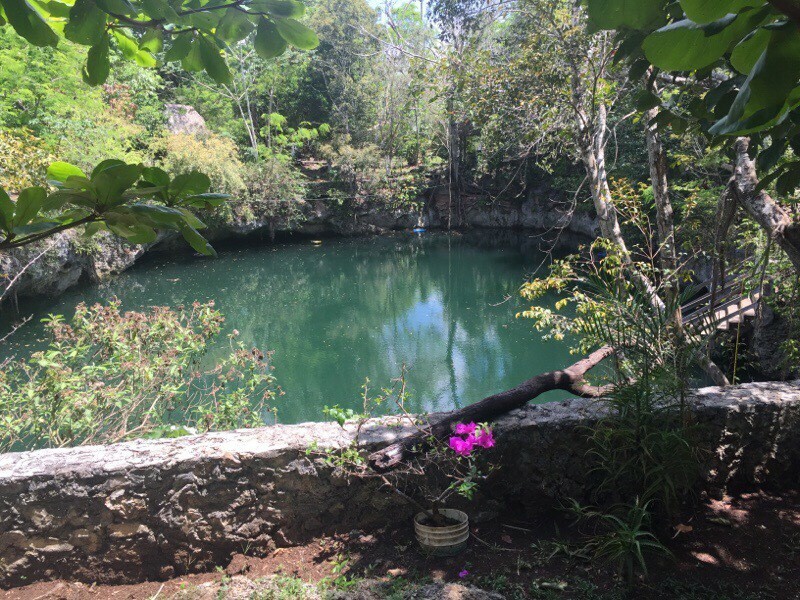 And the shape of the entire cenote reminded you of a large snake opening it’s mouth. It was so deep that you couldn’t see the bottom. It had vegetation on the walls under the water that looked like lily pads. And bubbles would just appear from the depths, here and there. It was freaky very cool. The bathrooms are pretty cool, too. Make sure you see them if you’re visiting Zapote. 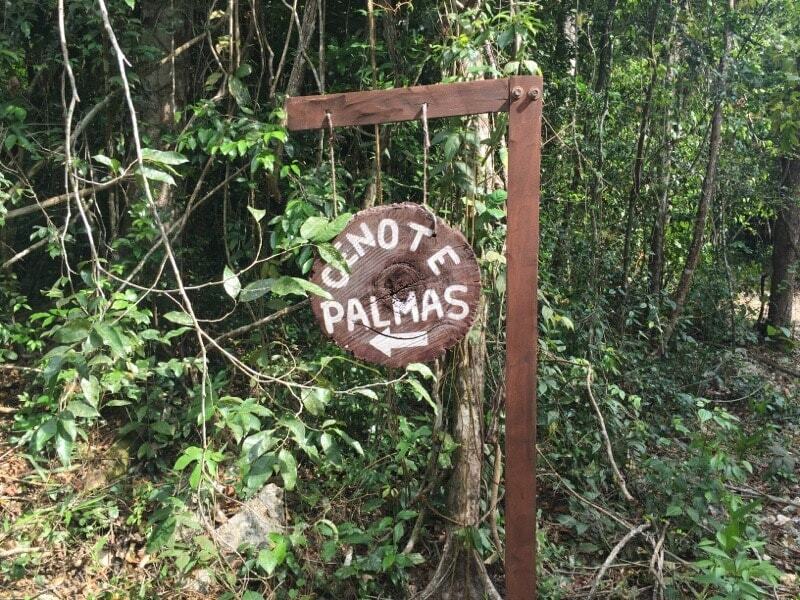 Palmas is probably our favorite centoe so far. It is absolutely gorgeous. The flora and fauna is kind of like the set of Gilligan’s Island. Nice raised platform to dive from. 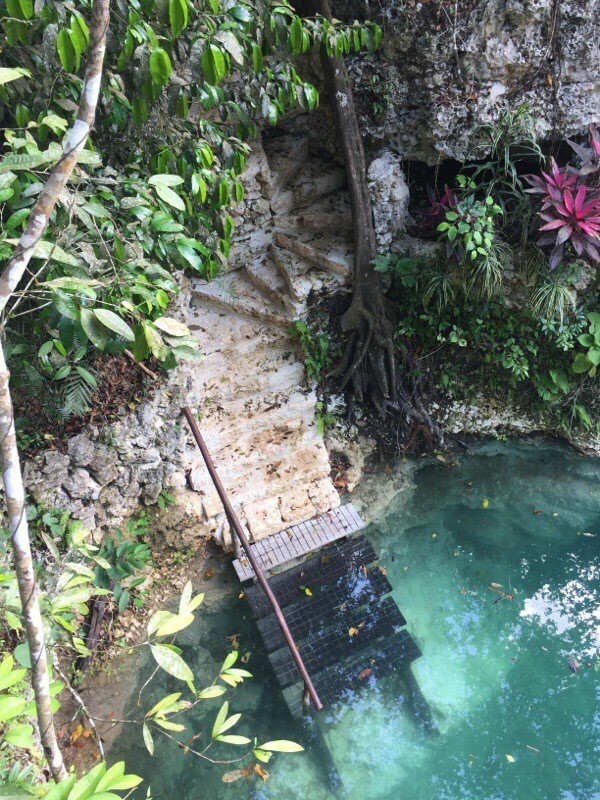 It has several staircases that descend to the water’s edge and the zip line is the best one. It’s not so high that it’s considered crazy to tackle, but definitely high enough that your adrenaline will seek out whatever religion you may practice, for advice. 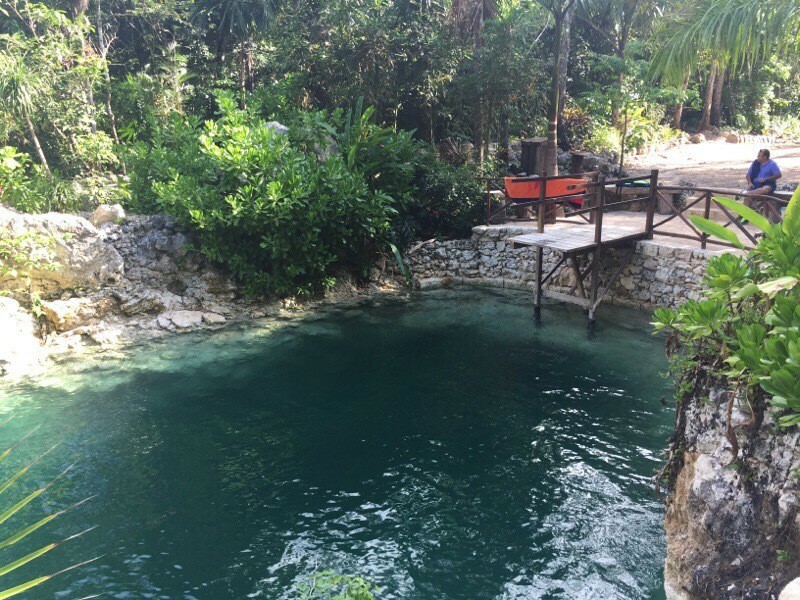 The water is very clear and it’s a WARM cenote. 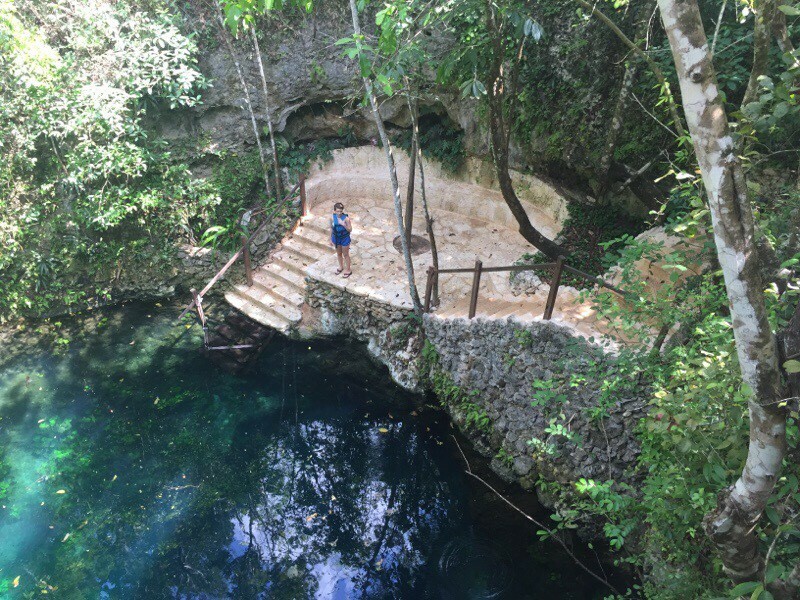 Zapote wasn’t exactly cave cold but it wasn’t open-cenote-warm, either. Palmas was very comfortable. So that was our last Tuesday. It was fun. Love spending time with my family. Each and every one of them. This one isn’t worth going to. 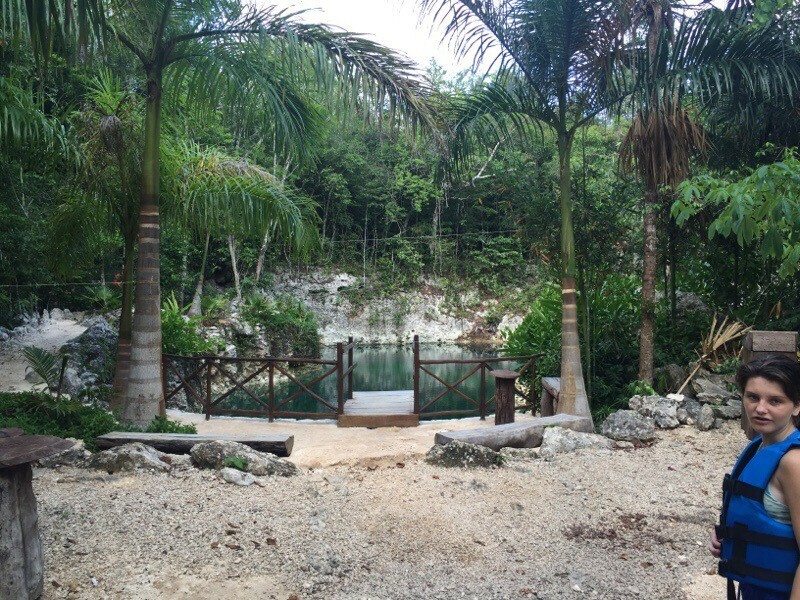 The one zip line was broken and the water or features isn’t all that interesting. 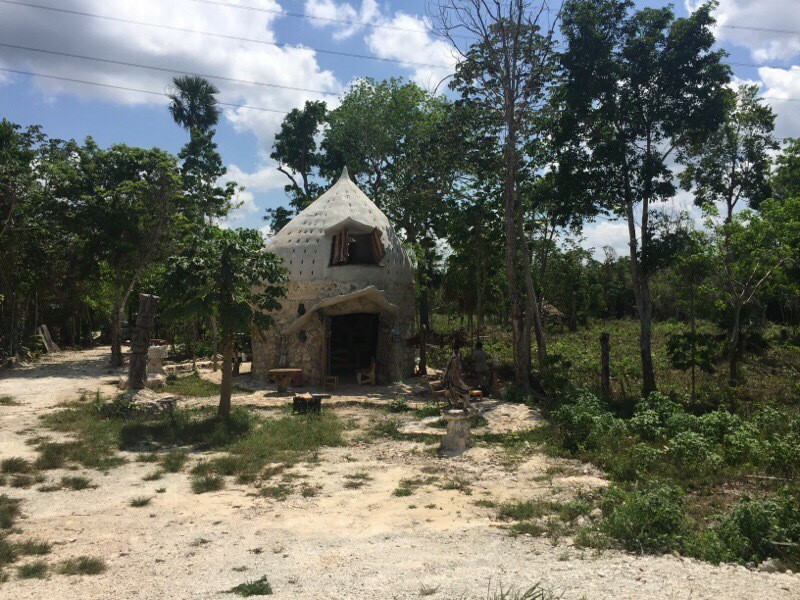 This is just a random hut on the Cenote Route, along the highway. It was pretty cool looking. See the sides of the wall plunging deep into the water. 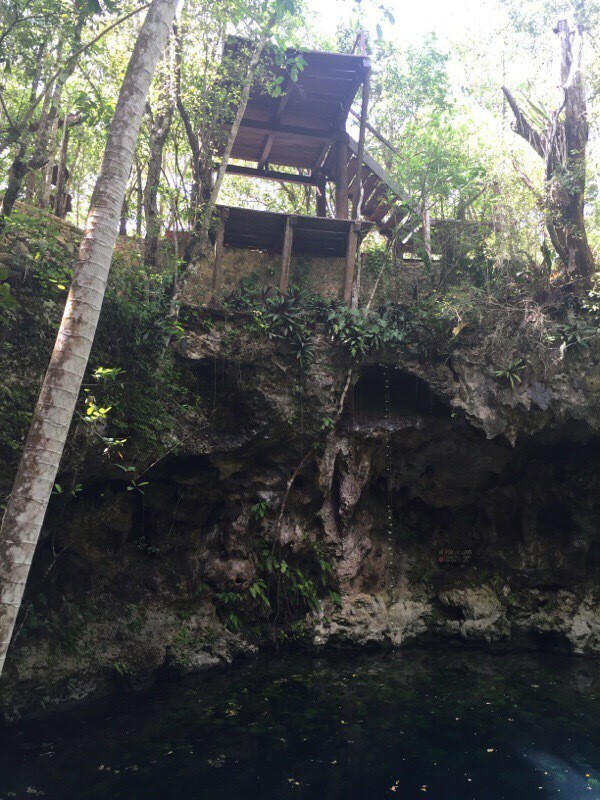 This was a small cenote but very deep and has very high platform to jump from. 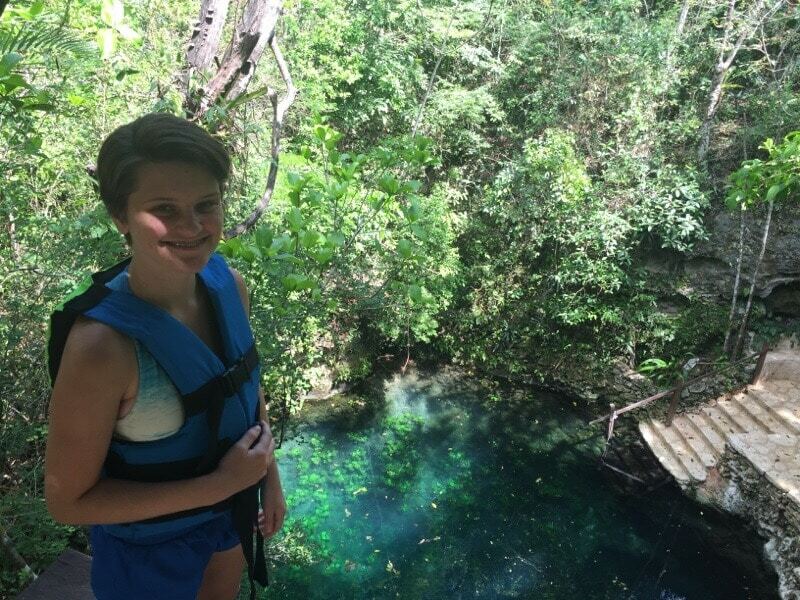 Haley down near Zapote cenote. More of Zapote. 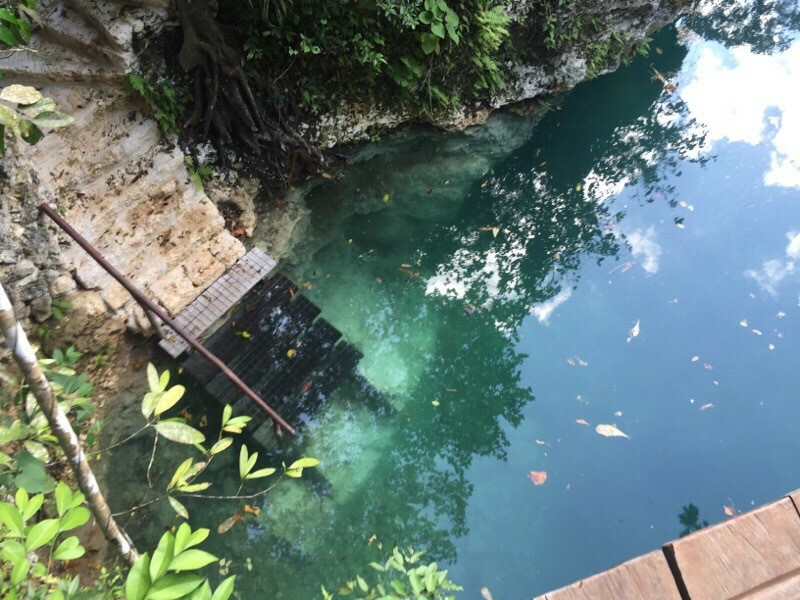 This is a good view of the cenote walls that you can see plunging down into the water. More views of the walls in the clear water. Two platforms, one on top of another at Zapote. No way, Jose. Although you can jump from lower areas too. Some of them were doable. 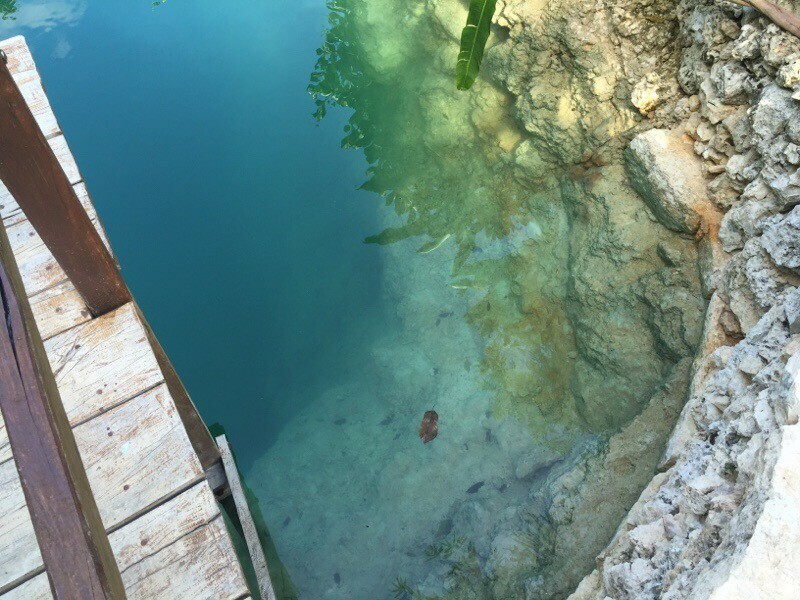 More of the clear water at Zapote. 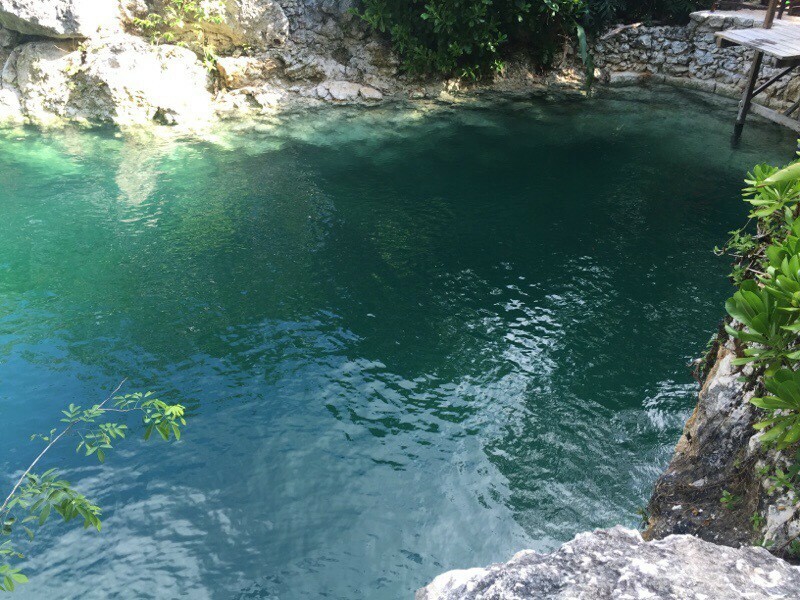 More of the clear water and the walls of the cenote. 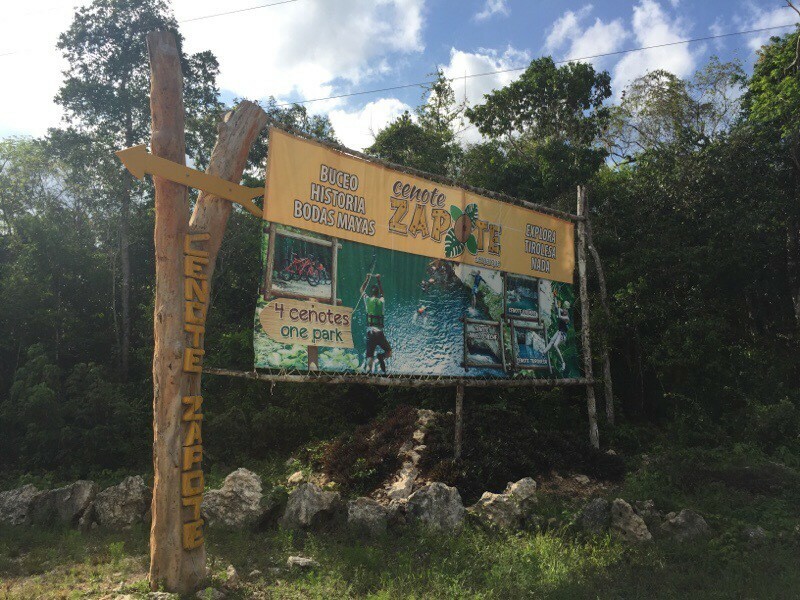 Sign to the Palmas cenote which is partnered with Zapote. It’s a good 15 minute walk so you might want to drive from Zapote to Palmas. Definitely pay for Palmas though, it’s worth it. You expect to see Gilligan, Ginger and Mary Ann at any moment, it’s so tropical and beautiful. 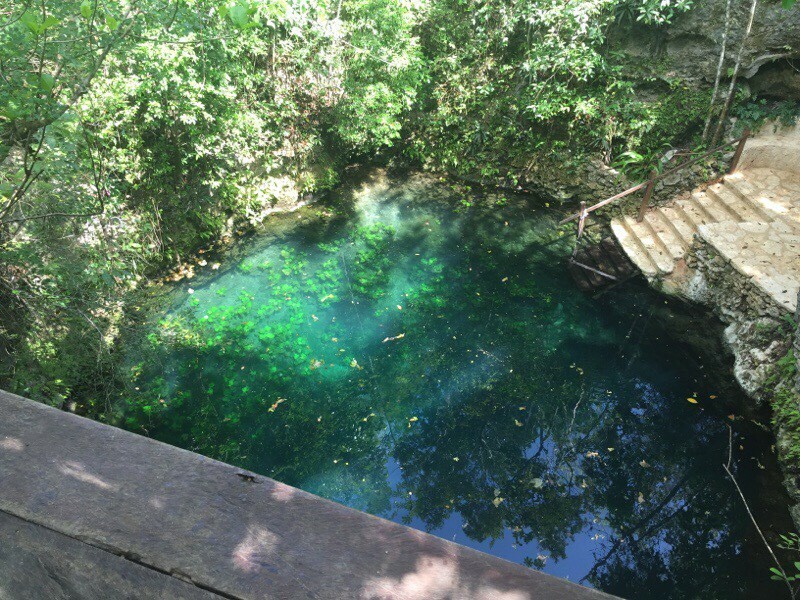 Again with the walls of the cenote being visible due to the beautiful clarity of the water. 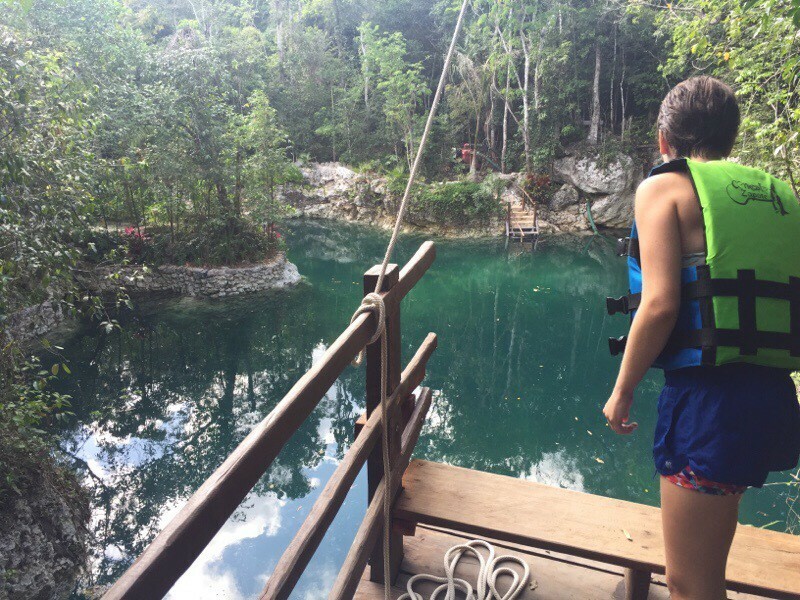 This one has several stair cases descending to the cenote, a diving platform (not a high one so everyone can use it) and a great zipline. More views of Palmas. Water is so clear. A walk way around Palmas. From the zipline platform at Palmas. Looking down onto one of the staircases from the zipline platform, at Palmas. 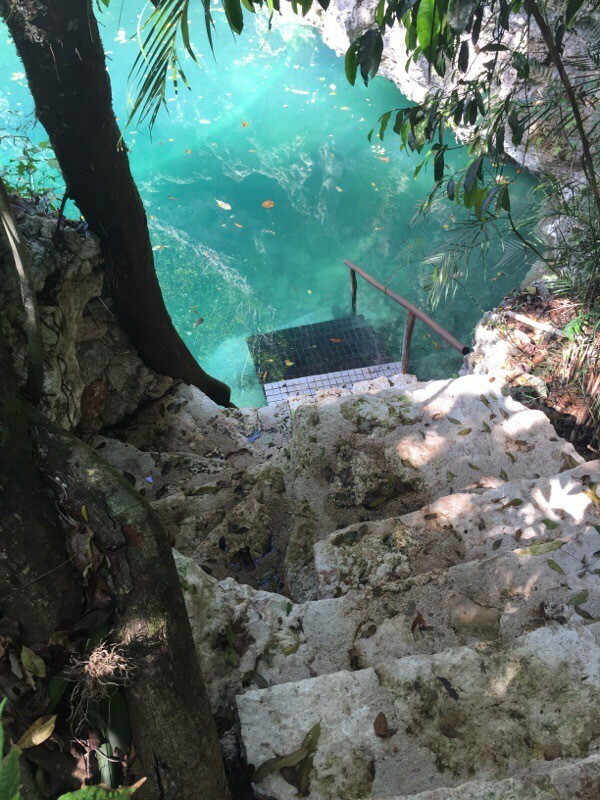 Anothe pic looking down onto the staircase going into the water at Palmas. Another view, from the top of the same staircase. 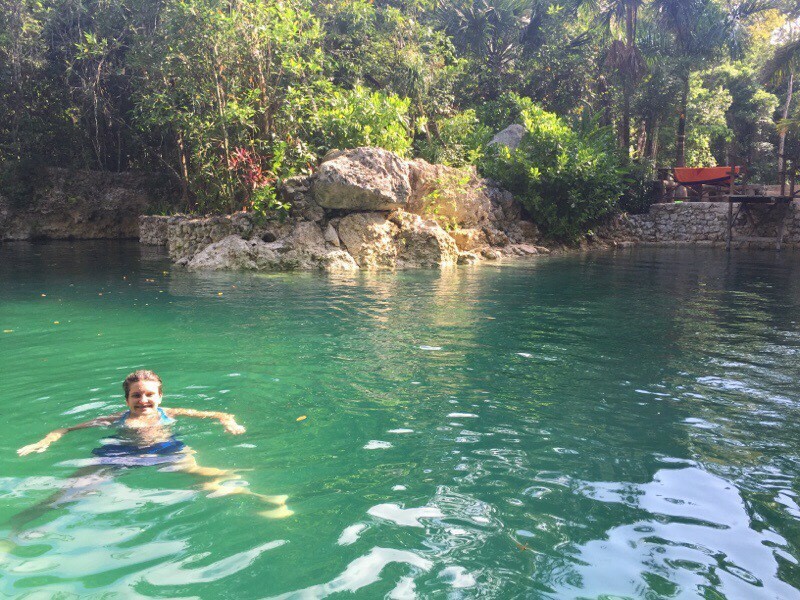 Haley swimming in Palmas cenote. More views of Palmas and the diving platform. Previous Article Pesos, Kilometers, Milligrams, Liters.. ARGH! Absolutely love the humour in your blogs! Great writing….you make this Canadian want to catch every word! Thanks, Sharon. We try to infuse our posts with some humor. We love to laugh in this family. 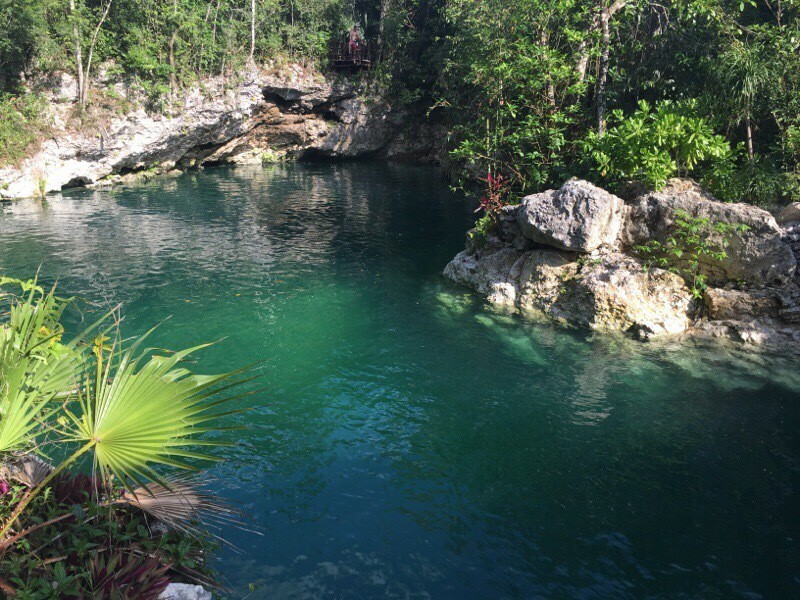 Have you ever wondered how many sacrificed bodies are in the bottom of the cenotes? Isn’t what they were used for in ancient times? Yes, many were used for dumping sacrifices. 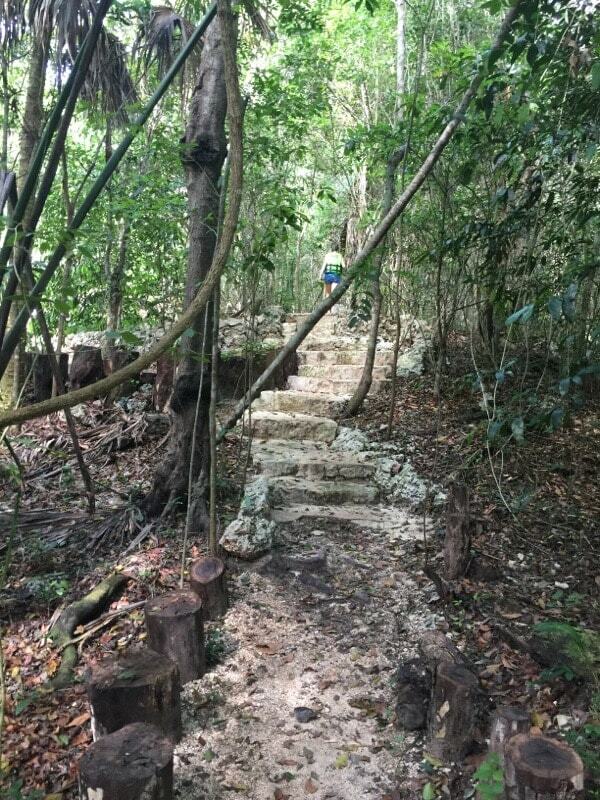 Especially the ones located around the religious Mayan ruins. But not all of them were used for that. But they sure are cool nonetheless. ha!